Here’s a virtual high-five for my partner in crime, JK. 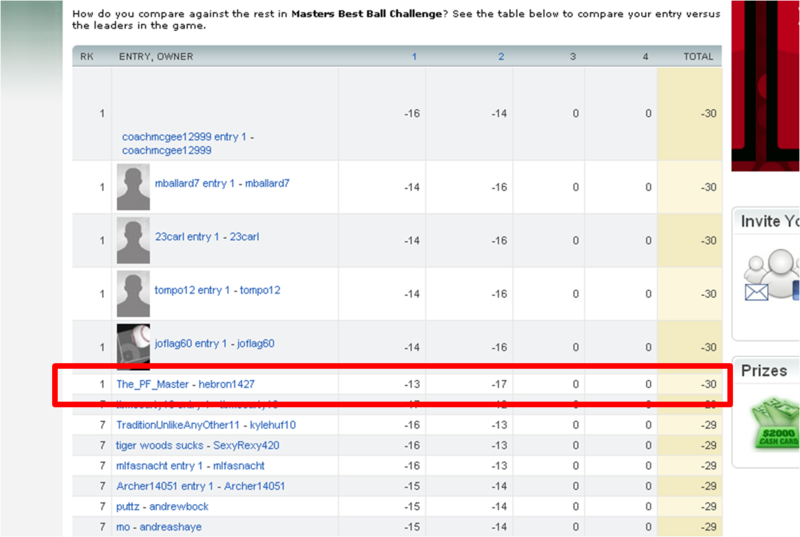 He’s currently tied for 1st with 5 other people in ESPN’s Masters Best Ball Challenge! Get’em JK!! Thanks you sir. Let’s hope this doesn’t end like my NCAA bracket….